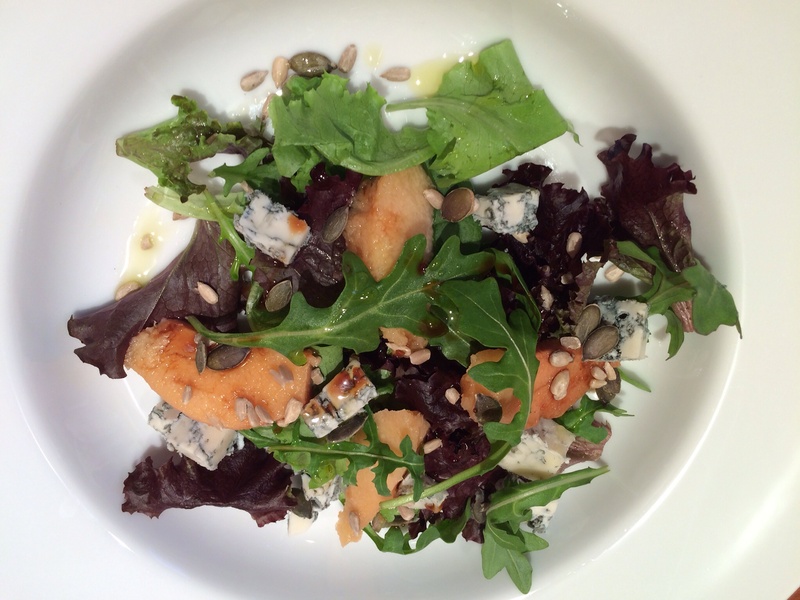 Quince and blue cheese salad. 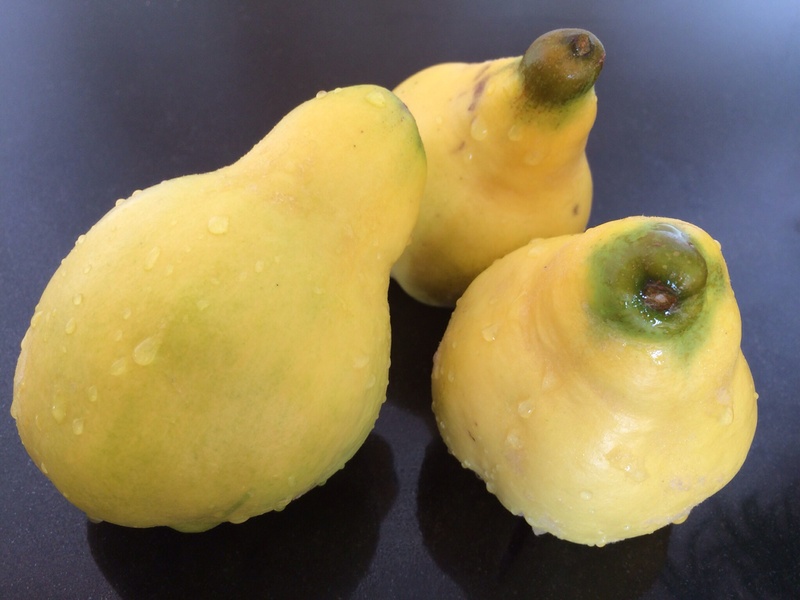 I have foraged, with my neighbour’s permission, a few beautiful yellow quinces from her tree. Don’t be tempted to sink your teeth into these beautiful fruits, they need a long simmer to soften, and then change colour to a beautiful golden pink soft fruit. And whilst they simmer, the kitchen is filled with the perfume of this fragrant fruit. 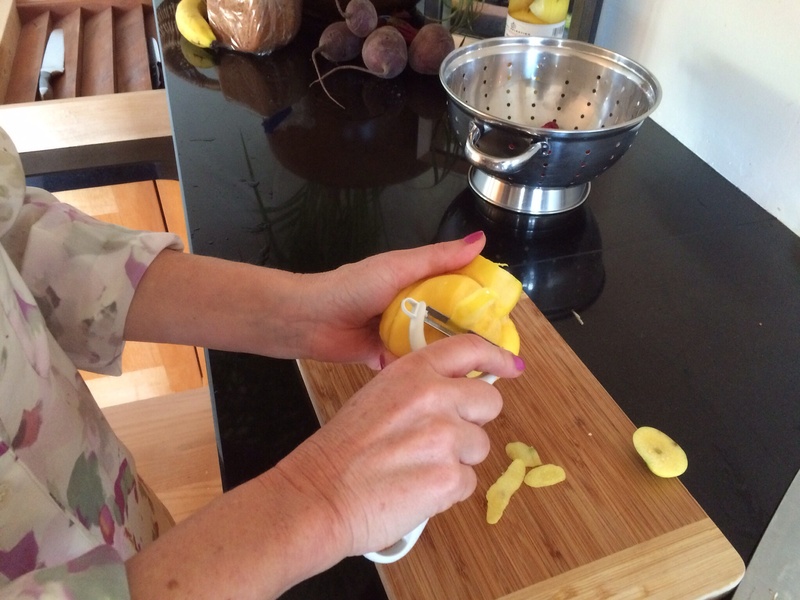 Firstly peel the quinces, and carefully (they are very hard) cut them into quarters and remove the cores. Put into cold water to stop them going brown. Add 500 ml of water, 2 heaped Tbs sugar and 2 Tbs honey, half a lemon and a stick of cinnamon, 2 bay leaves and 3 black peppercorns to a saucepan. Cover and bring to a gently simmer. Then add the quince pieces and simmer until tender (usually about 20 minutes). 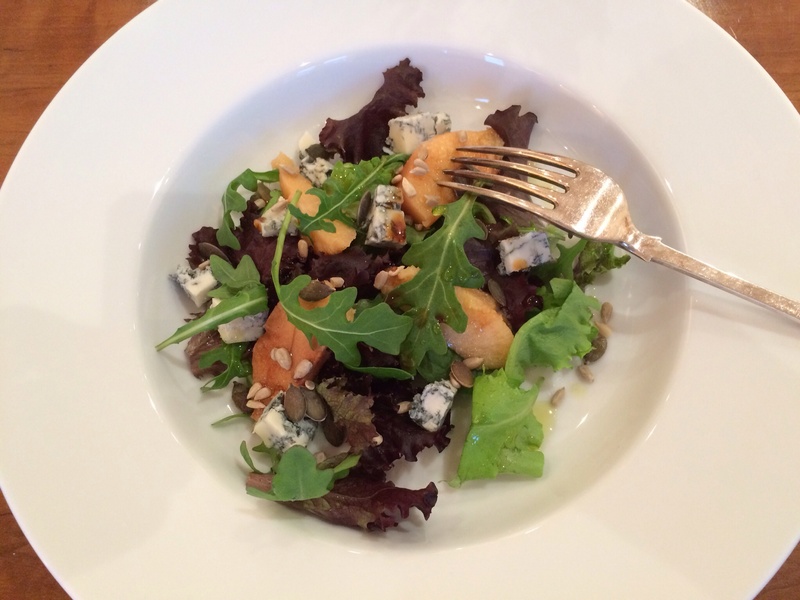 When cool slice and add to a salad of mixed green salad leaves, and 100g of crumbled blue cheese. Sprinkle 2 Tbs of mixed seeds over. Make a dressing by whisking 3 Tbs olive oil and 1 Tbs pomegranate molasses and drizzle over. Okay, there is sugar in here – so I’m not sticking to my self imposed ‘no added sugar’ rule for Stopober. But what can you do when you’re given these beautiful fruits? Back to the plan after my salad. If you would like to eat them with roast meat, lift the quinces out of the poaching liquid and put into a roasting tray. Add a few tablespoons of the poaching juice, drizzle with 2 Tbs of honey and roast for about half an hour on 180c. This is delicious with roast chicken or lamb, or even with thick Greek yoghurt. Delicious! ← Couscous with halloumi, preserved lemons, and courgette.